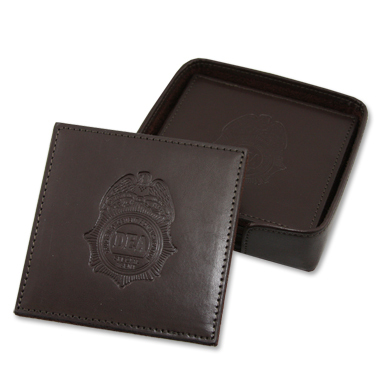 Not only a beautiful set of 4 leather coasters but also an Eco-ResponsibleT product made from Recycled Cowhide Each coaster is debossed on hand-crafted, treated leather that won't stain when wet. Faux suede bottom to protect furniture. Includes matching leather holder. Gift boxed.